How much do you really know about the health and potential diseases the ball of fur can develop? The more you know about the conditions your cat can develop, the easier it will be to prevent or manage them effectively. Cats are prone to infections that can induce a wide array of symptoms, including changes in their behavior. Your cat can also develop toxoplasmosis which is exactly the subject of this post. 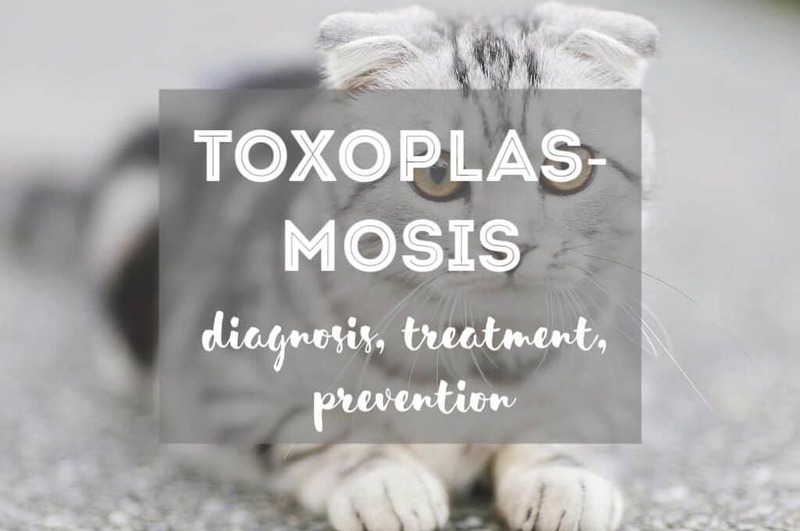 Scroll down to learn more about toxoplasmosis in cats, its causes, symptoms, and everything else you need to know. Can I Get Toxoplasmosis from My Cat? Toxoplasmosis is a disease caused by a parasite called Toxoplasma gondii which is capable of infecting most warm-blooded animals. That being said, domestic cats are the only known definitive hosts where T. gondii parasite can undergo sexual reproduction . Cats and other members of the cat family can shed T. gondii in their feces. Basically, cats can shed the parasite in their feces for 7 to 21 days once they get infected. The parasite is typically found in raw meat and garden soil. Once it gets inside the body of an animal (or even human), the parasite spreads quickly and reaches lung, eyes, and brain. It can remain in the body for quite a long time. 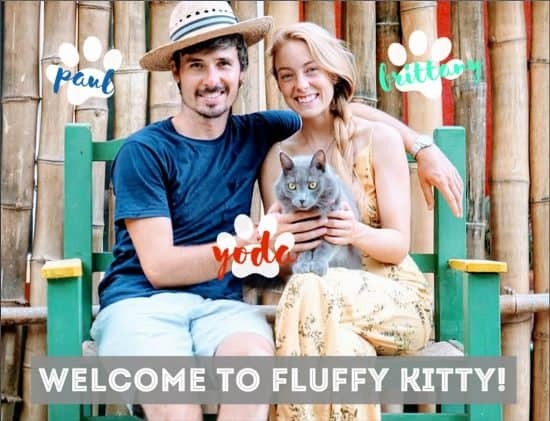 Cats are usually the carriers of toxoplasmosis by killing and eating wild animals or small animals such as rodents and birds that have been infected by the parasite. 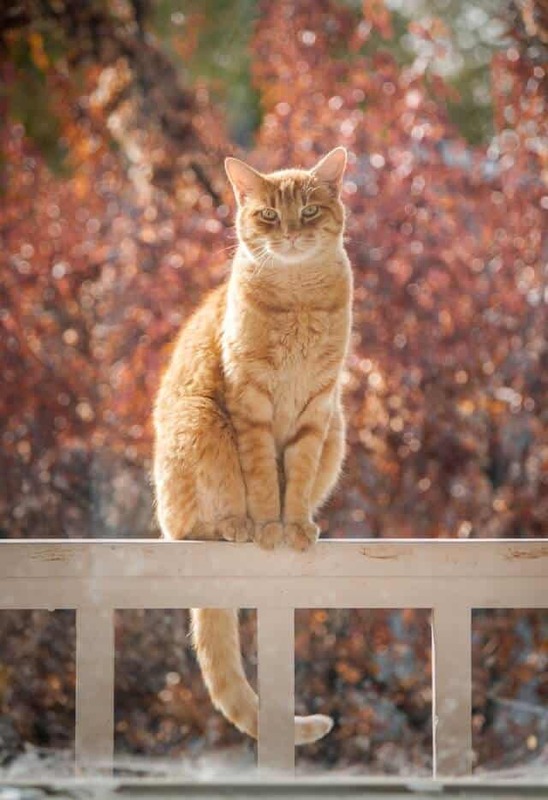 This is also a good reason for owners to avoid letting their cats go outside to hunt other animals. Interestingly, cats can also get toxoplasmosis when they get into contact with infected feces from other cats. When a cat is infected, the parasite starts multiplying in the intestines until oocysts (immature eggs) shed in feces. After it is passed in the feces, the parasite becomes infective five days later, and it can live in the environment for months where it can contaminate soil, grass, vegetables, sandbox, among other things . Cats, both wild and domestic, are the only definitive hosts that are known at this point. When a cat eats an infected animal, the parasite gets released from the cysts into the feline’s digestive tract. That’s exactly where oocysts are produced. Then, oocysts are excreted in feces, as it was mentioned above. Millions of these immature eggs are present in cat’s feces. In some cases, T. gondii released from the cysts penetrate deeper into the intestinal walls where they multiply into tachyzoite. This is important because tachyzoite spreads to other parts of the feline body . Bearing in mind that cats are carriers of the infection, they usually don’t exhibit any symptom of toxoplasmosis. Why? Because they develop immunity to the parasite. However, that doesn’t mean signs of symptoms are impossible. Some cats do experience some manifestations of the infection. Cats that aren’t immune to the parasite can develop symptoms such as diarrhea and loss of appetite. As mentioned above, the parasite can reach the cat’s nervous system, liver, lungs, and other organs. Of course, the infected cat may develop some health problems depending on the affected organ. For example, if the parasite affects the lungs, then the cat may struggle with respiratory problems. In instances when parasite reaches the cat’s eyes, then vision problems may occur . Kittens that are still in their mother’s womb are the most vulnerable. Infected mothers can transmit the infection to their kittens. Little ones are more likely to exhibit signs and symptoms of toxoplasmosis than adult cats. 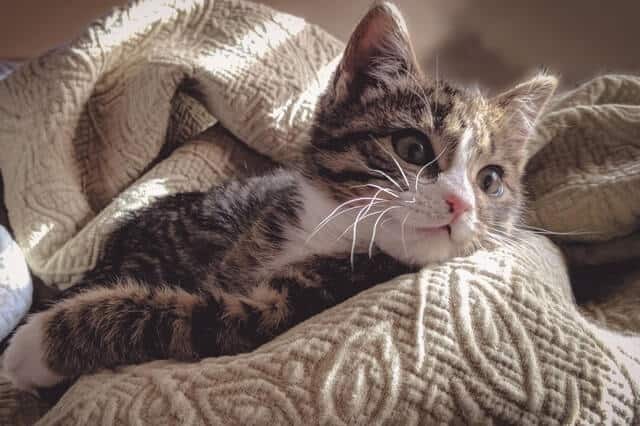 It’s important to mention that a vast majority of cats will be permanently infected with the T. gondii parasite, but many of them won’t show signs of the disease. Although rarely happens, some cats may die due to the severity of the infection. 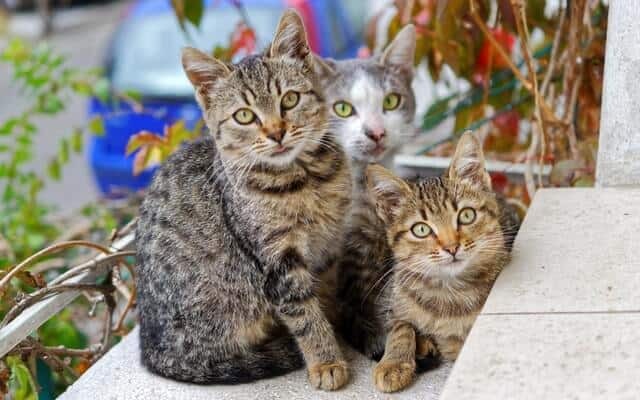 Toxoplasmosis in cats isn’t easy to diagnose mainly because cats are carriers and many of them do not exhibit signs and symptoms, as we’ve discussed above. However, it doesn’t mean diagnosis is impossible. Diagnosis of the condition is usually based on the cat’s history, symptoms of an illness, and results of laboratory tests. The lab tests ordered by the vet measure two types of antibodies to T. gondii parasite in the blood (IgM and IgG). Higher levels of the IgG antibodies in an otherwise healthy cat indicate the feline has been infected previously and it is immune to the parasite, but they’re not excreting oocysts. This means that although infected, that particular cat can’t infect humans and other animals. 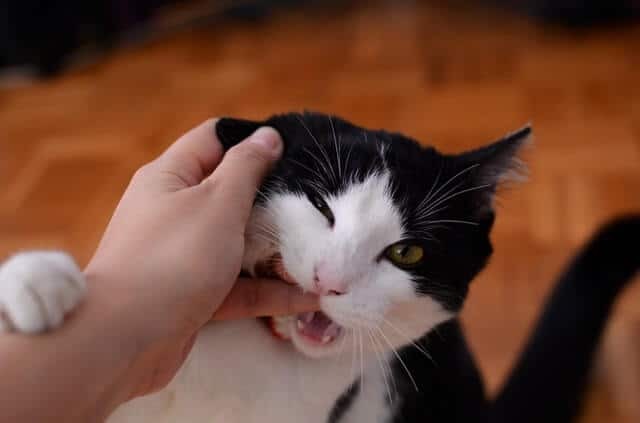 On the other hand, high levels of IgM antibodies suggest an active infection meaning the cat can also transmit it to other animals and humans. Laboratory tests that measure antibodies are a more reliable method of diagnosing toxoplasmosis in cats than detection of oocysts in feces. The reason is simple, oocysts, in this case, are very similar to those of other parasites, so it’s not easy to tell them apart and make an accurate diagnosis. Treatment of toxoplasmosis in cats revolves around the use of clindamycin antibiotic administered either alone or in combination with corticosteroids. The combination with corticosteroids is usually recommended in cases when inflammation of eyes or the central nervous system is involved. It would be ideal to start the treatment after diagnosis. It’s important to continue treatment even when the symptoms go away. Cats with central nervous system inflammation and eye problems tend to respond to the treatment more slowly. However, they do show signs of improvement in about two to three days. Unfortunately, cats with affected liver and lungs usually don’t have a good prognosis. Most cats carry the parasite, but it’s still possible to prevent it in case your cat doesn’t. For example, you shouldn’t let your cat go hunting and catch other animals. Instead, feed your cat commercial dry or canned food. Make sure you avoid feeding your cat raw meat because it can be a source of the infection. Clean the litter box regularly, particularly if you have multiple cats in order to prevent your pet from getting infected through contact with feces. Make sure you wash your hands thoroughly whenever you’re gardening, or exposed to raw meat, sandboxes, you name it. Before eating, wash fresh fruit and vegetables thoroughly in order to decrease the risk of contamination. If there’s nobody else to pick up the cat’s feces, make sure you wear gloves while doing it yourself. A common question that many cat owners want to know is whether they can get the disease from their cat. While the cat is the only definite host of the parasite, not all infected cats can transmit the infection. Remember, some cats may have a parasite, but the infection is inactive while in others it’s active. Also, you’re more likely to get the parasite from raw meat, drinking contaminated water, or eating contaminated vegetables. Contact with your cat won’t give you the parasite, meaning you can pet it, stroke its fur, and resume normal activities. Many people believe they will get the disease through direct contact with the cat but, as you can see, that is not true because the parasite is not present in the feline fur. Pregnant women are at the greatest danger of developing the infection primarily because once infected they can pass the disease on to the infant. Most infected babies show no signs and symptoms of the disease at birth. However, many tend to develop some symptoms later in life. These problems include seizures, mental disability, and vision loss. That’s why it’s important for pregnant women to avoid handling cat’s litter and make sure they ask someone else to perform this task. If you’re pregnant, you can prevent toxoplasmosis by avoiding picking up stray cats, primarily kittens and taking them to your home. While this is a noble thing to do and kittens are beyond adorable, they are also more prone to the infection. Avoid eating raw and undercooked meat, too. And the same thing applies to your cat too. Toxoplasmosis in cats is a common problem. But thankfully, it doesn’t have to lead to a devastating scenario. Many cats are just carriers and don’t exhibit signs and symptoms of the condition. When symptoms do occur, it’s vital to take your cat to the vet in order to get the accurate diagnosis and start the treatment immediately. This article has been written by a medical professional.